← Announcing: winners of the Nancy Zieman Quick Column Quilts book giveaway! You’ve asked for it and waited for it. 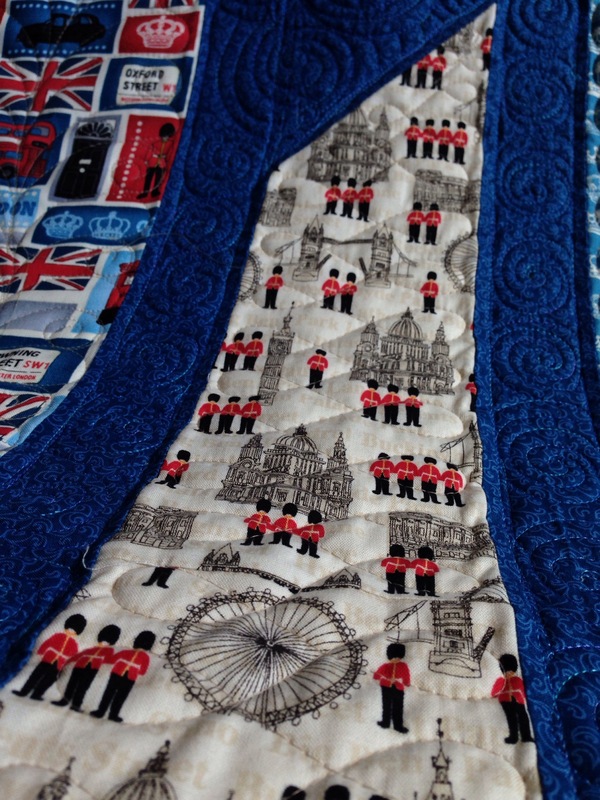 Now, here it is: London Chimes, my version of the Wind Chimes quilt pattern from Nancy Zieman’s Quick Column Quilts book! I am quite pleased with the end product. 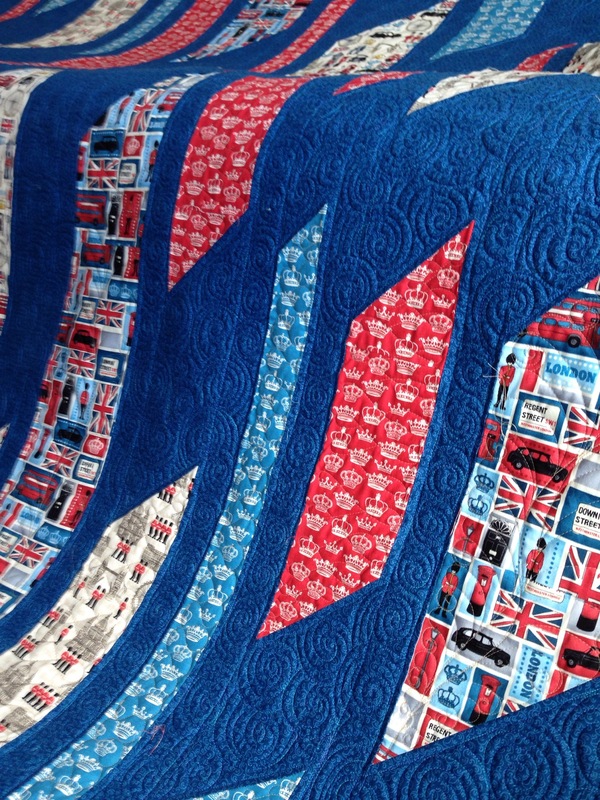 It is a great showcase for my precious London prints, used in a pattern that captures the energy of the city without forcing me to cut the pieces small enough to lose the overall charm of the feature prints. 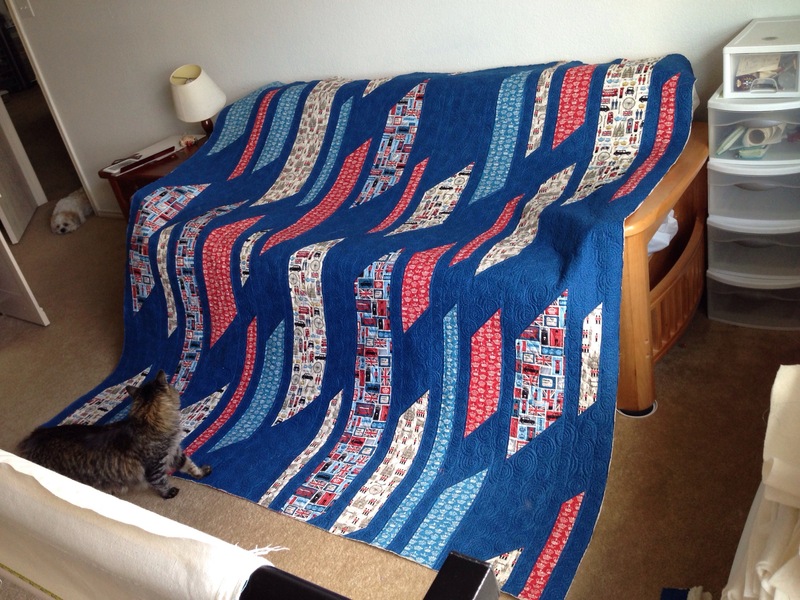 I love love love this quilt Lisa, and the quilting is Fabulous! Not to mention that the quilt inspector looks pretty darn cute! Is that an Inspector or Security guarding the Entrance to the room? Patti, the Quilt Inspector is making a rare visit to the room… Only allowed when no customer quilts are out, and right before vacuuming day. The entrance guard in the doorway prefers to stay clear of the action. Awesome quilt. I like the closer /tighter quilting. I look forward to trying this pattern sometime in the future. Terrific! Thank you for showing us your finished quilt. Great colors! 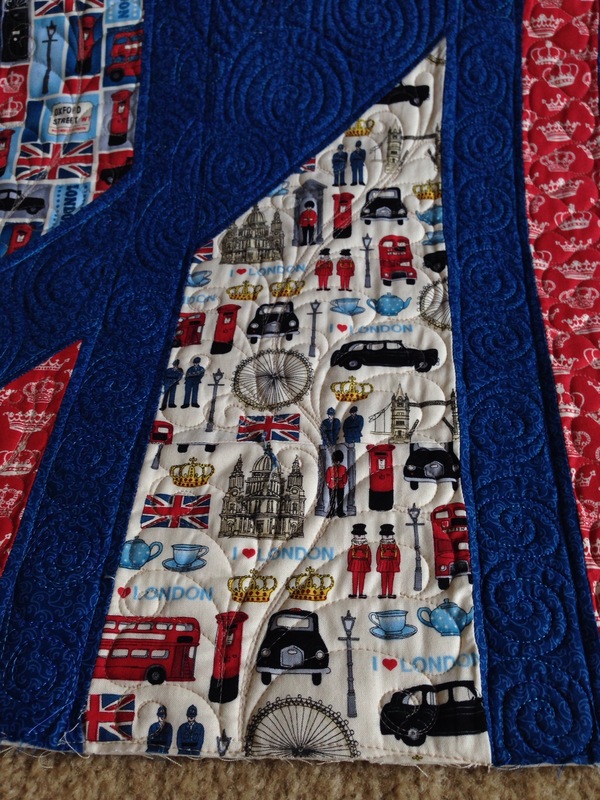 Love your use of the London fabrics.